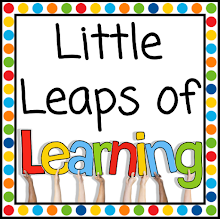 Little Leaps of Learning: First week back at school? It's sorted! Beware: this is a long post... but it's packed full of ideas, I promise! I truly hope you keep reading until the end because I've carefully thought about what goes into a rockin' first week! In this post I will talk about tips for the first day, getting to know your students as learners, ideas for Australia Day and establishing routines. It's so important that the first day back at school is a positive experience for your new students AND parents. If your students come home from school that day happy and excited then it sets the tone for the rest of the year for everyone involved. No pressure! The morning is hectic. Parents will be dropping off their nervous children and will be unabashedly checking you out. They are leaving you with their most precious belonging, after all. Smile, be welcoming and enthusiastic about every child walking through your door (if you're a passionate teacher, this would be hard to fake!). If a parent tries to engage you in a long conversation about their child, it is best suggesting that you would love to meet this afternoon or tomorrow morning to put a plan in place. Have a sheet where parents can record how their child is getting home that day (bus, walk, parents pick up). You don't want to lose any child ever, but especially not on the first day! When it is time to enter the classroom, I stand by the door with a small table set up with name tags for their tidy trays. This way, I meet and greet every student (and their parents) and learn their names. I have instructions up on my interactive whiteboard welcoming everyone, with my name and room number, and a simple job to do for the student (like stick your name tag on a tidy tray), followed by three options to do while everyone comes in. These options are usually one hands-on (puzzles, blocks), something quiet (reading in the library corner), and something co-operative at desks (I use an online word search generator to create a word search where the words to be found are the names of everyone in the class - 'Find your friends' - this is always a big hit!). When it is time for parents to leave, I say something like "Give Mum and Dad a hug goodbye, it's time to start our day!" so it's clear that parents are not hanging around for the rest of the morning - as some have tried to do in the past! So what do you DO for the rest of the day? Aside from the usual behavioural expectation spiel and practicing of routines, I like to complete some of the 'get to know you' activities listed below. I particularly love the ones that have some sort of collaborative classroom display or artwork that parents can enjoy, and students can show off, at pick up time. A new idea that is on my list to try is taking a photo of each student holding my 'First Day of Year __' sign and students writing about what they like to do, what they want to be when they grow up, their goals for the year, etc. Then I plan to keep the photos and their writing somewhere safe for the year, and repeat with students holding up a 'My Last Day of Year __' sign on the last school day, with a second writing sample underneath. I think this would make a really special end-of-year memento. You can download my FREE signs here. My number one top tip for the first day? Plan for ONE new thing for the students to learn. It might be an interesting fact, a new rhyme, or a trick to remember 5x4. That way students have something ready for the inevitable question "What did you learn today?" and it sets the expectation that learning is the priority and will be done every single day. This is a no-brainer. You need to know what the little people in front of you are like as individuals AND learners. There are many free ideas on get to know you activities available on the web. A Pinterest search will show you options like a friend scavenger hunt (where students write the names of their peers who match the clue) or designing a Facebook profile page (depending on age group). Don't forget to let your class find out about YOU. Students love finding out about what their teacher is like as an actual human being. On the first day I like to bring in a bag with props relating to me (chocolate wrapper, travel photos, cook book) and talk about what each one means to me. Then, students can draw or write about what would be in their own bag. Here's my favourite way to get to know your students as learners. It also makes an awesome classroom display. I talk to my class about the different ways of being 'smart', for example, some people are body smart and learn best with their hands. We do this easy student-friendly "Would you rather...?" quiz to see what kind of smart we are (for the record, I am word and self smart) and each student decorates a "Smartie" to form a class display. This is a must-do activity for that first week. It is something I have up for the entire year as I found my students refer to the display and their 'smart' constantly! Click on the image to see more. During the first week I also like do some number and spelling/phonics assessment, as well as a writing sample. For reading, I have their end of year data from the previous year so I only do reading assessment on new students. I also think it is important to use the first week to set goals and make a plan for all students (and then, convey this with parents). It really helps to know where each student is heading. Along with a conversation on goal setting, I like to do this goal setting activity. It makes a really cute and original display. 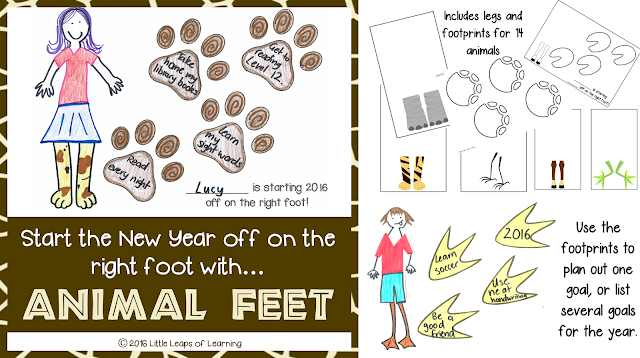 Students draw their bodies on the animal leg clipart in this resource, and then plan their goals in the animal footprints. Instead of just declaring a goal, it's really important to help students break up the goal into steps and form a plan for achieving their goal. I recommend further reading on SMART goals if you're interested. Displaying your students' drawings of themselves with animal feet and their goals would look awesome under a heading like "2K are starting the year off on the right foot!". This works really well when paired with either of these entertaining stories: 'I wish that I duck feet' by Dr Seuss or 'Animals should definitely NOT wear clothing' by Judi Barrett. Great for the first week back at school! For some states, the first week back at school also coincides with Australia Day. Even if this national holiday has come and gone, I still believe it is incredibly important to use the opportunity to discuss elements of Australian history and to encourage reflection of, and gratitude for, Australian way of life. 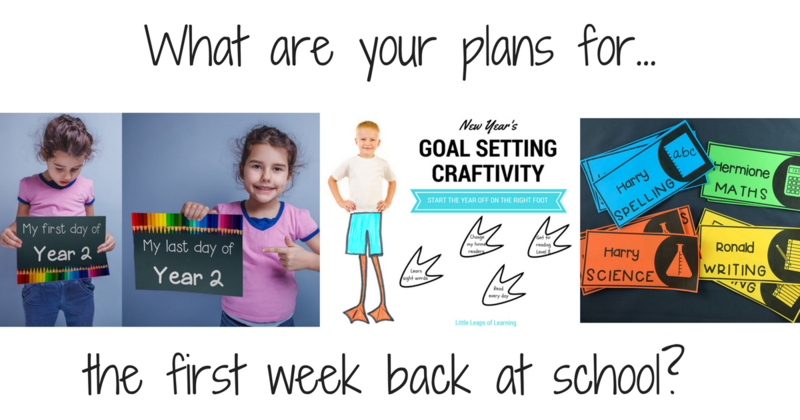 Plus, it makes for engaging and fun activities that are perfect for the first week of school! It's sometimes hard to find something that is not too heavy for students 8 years and under. 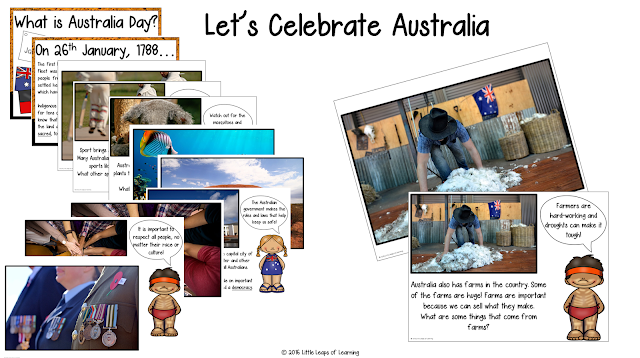 I made this lesson which briefly outlines the history behind Australia Day, and then presents photos as talking points in pairs or as a whole class. On the very next page, the photo is briefly explained along with a question prompt. I was also looking for an original craft for Australia Day. No more colouring in Australian flag templates! After going through the lesson above on what makes Australia special, I have the students draw or write about what Australia means to them as this cute little "craftivity". I think these would look amazing hanging from the overhead wires in a classroom! Look at the shape of Australia on a map. Nibble an arrow-root biscuit into the shape of the continent. Who can eat it closest to the shape of Australia? Play a taboo-style game with students acting and guessing Australian animals. Collage the Australian flag with blue paper, red strips of paper for the union jack and silver cut-out stars. Aren't these cute? 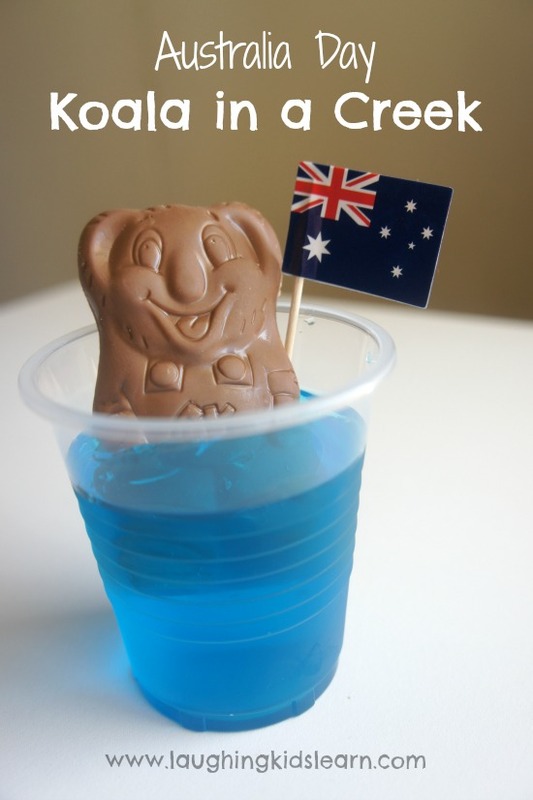 Koalas in a creek - a caramello koala chocolate in a plastic cup of blue jelly. Or, I would do a freddo frog in a green jelly billabong as you read the Dreamtime story 'Tiddalick the Thirsty Frog'! (Image courtesy of laughingkidslearn.com). I cannot stress enough how crucial it is to practice everyday procedures. I know that I have nailed the first week of school if at the end of it, every single one of my students stops, looks and listens when I give my signal. Do a lot of modelling. Take photos of them doing the desired routines, and then make posters with your class, writing their ideas for what it looks like, feels like, sounds like. Invite students to show the class examples and non-examples. One of the most powerful ways to do it is to choose students (particularly ones who struggle with it) to show off to the class what it absolutely does not look like. Pick the ones who will exaggerate a bad example. Make a big show of being horrified when they do the routine (eg. transitioning to their desk and getting their book ready). Then, have the student fix it up and model what it actually looks like. During the first week, I would make sure to plan a very hands-on maths activity. I would bring out the MABs and we would really get to know them, lining up the ones next to the tens, building with them, stacking them. I'm not at all fussed with them learning a number concept. The aim of the lesson is to practice stopping, looking and listening during a noisy, busy, hands-on lesson. Teach them how to stop and listen without touching anything in front of them. Say "Hands on top!" and they sing back "That means stop!" with their hands on their heads. No more touching materials when you're giving them instructions! Make it into a game, keep it fun and use positive reinforcement. How to turn and talk with a partner. I call these 'elbow buddies'. You may like to assign them based on ability, but I teach them to use whoever is closest. Teach them how to turn and face a partner, what it looks like to be the talking partner and the listening partner, etc. Transitions around the classroom. What does it look like to move from the carpet to the desks? Walking, silently...? Transitions around school. Lining up is a big one! I pick two front line leaders and two back line leaders as part of my class jobs to make sure the line does not stretch out. A good strategy is to use 4S - Pinterest search "4S line poster". Packing away books and stationery. Like most teachers, I become very upset when glue sticks are put away without their lids! A good idea is take a photo of what you want the communal stationery tub to look like at the end of each lesson/session/day, print it out and stick it to the tub for constant reminders! Voice levels. I assume you would have a voice level chart up (if not, I strongly suggest you get one!) and the students needs to be taught what whisper, small voice, inside voice, etc, all sound like! Dismissal time. Otherwise known as the most chaotic time of the day. Have a think about how you want your daily dismissal time to run. How will you manage handing out notes and forms while packing up the classroom? Bookwork. For example, setting up books with margins and dates. Do yourself a favour and have a think of what you want your classroom to look like and how it runs so that you can describe your expectations to your class. Don't forget to follow me on my Pinterest boards for an ever growing collection of ideas! 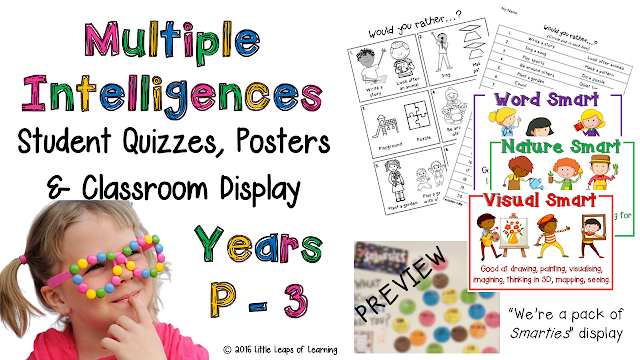 And if you're not already a Facebook fan, make sure to like my page for free resources! All the best for your first week back! What a great post! I love the idea of the frogs in green jello! Will definitely steal that one!